A former East High School math teacher who allegedly gave marijuana to students at a house party has been formally charged with four counts each of marijuana distribution to a minor and contributing to the delinquency of a minor. Rachel Leigh Farley is scheduled to appear for her second advisement on April 19, said Ken Lane, spokesman for District Attorney Beth McCann. All eight counts against Farley are felonies. 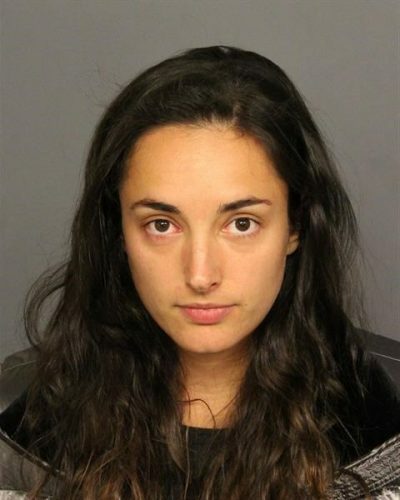 Farley was booked into the Denver city jail on Tuesday. The marijuana-smoking incident happened Aug. 8, 2017, at Farley’s home in the 1600 block of Glencoe Street. Farley, then a math teacher, had invited students from her advancement via individual determination class to her house to decorate clothing for freshman day. Denver police Detective Christopher Matlock interviewed nine students who had been at the party. Multiple students admitted they smoked marijuana at the party. The students were 17-years old, the report says. “The students all stated separately that the suspect provided the marijuana and introduced it to the group to smoke,” Matlock’s report says.